Arguably the deepest class from any state, Texas 2019 class is loaded with future high major college players. 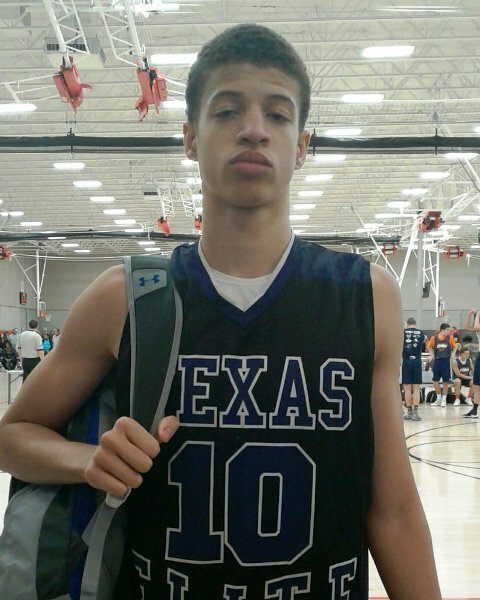 Talented junior Samuell Williamson of Rockwall High School continues to grow into not only one of the top prospects in Texas but one of the top prospects in the class nationally. Williamson has continue to refine a very high caliber scoring wing skill set with his ability to create off of the dribble to either attack the rim or create separation for his mid-range game. As versatile as any wing out there, Williamson possesses great versatility and he’s able to effect the game with his playmaking, rebounding, and ability to defend multiple positions at a high level. I was able to catch up with the 4-star wing standout and ask a few questions on how things are going. How does it feel to go from underrated to most people recognizing you as one of the best in your class? Williamson: It feels great knowing my hard work is paying off. What part of your game do you think college coaches have noticed the most? Williamson: My shooting and versatility. During your freshman year you had no offers now as a junior you have a number of them. How do you stay motivated to stay working hard? Williamson: I'm not done yet, we're just getting started, I'm not satisfied with the success I've had so far. I'm trying to get ready for college and eventually make money playing this game. Those are the some of the things that keep me motivated! Williamson is headed the right direction with his great physical attributes, skill set and mental makeup. Still just scratching the surface of his potential, the junior standout from Texas continues to gain recruiting momentum. Williamson picked up his first power 5 conference offer in June when Rutgers offered and shortly thereafter blue chip program Kansas offered. Williamson has since picked up offers from Texas, Baylor, Oklahoma, Kansas State, Marquette University, Texas A&M, Illinois, Louisiana State University, Texas Christian University and Baylor University. As 2019 prospects go look for Williamson to continue to elevate up national rankings board’s from coast to coast. The talented wing from Rockwall, TX is already on the national radar of a number of blue blood programs and he looks primed and ready for a big spring and summer in the coming months.